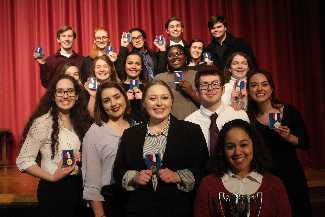 Chancellor High School won the Region 4B Forensics Master Sweeps! We placed first in the competition by scoring the most team points. There were 9 teams at the competition that was held on February 12 at Chancellor High School. We have 13 students moving on to Super-Regionals, which will be held on March 2 at Chancellor High School. Congratulations to all of the students involved!